PG for some mild rude humor. On DVD/Blu-ray 3/20. Ok for kids 5+. http://disney.go.com/muppets/; buy on Amazon. 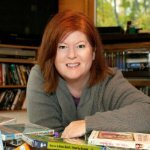 What happens when the biggest Muppet fan in the world visits the vintage Muppet Theater and finds an abandoned building full of lost dreams? Tons of fun for us! 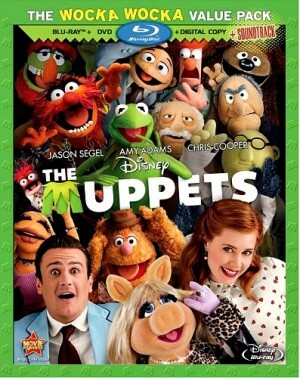 Blending live action and Muppetry, the story follows a Muppet named Walter (voiced by Peter Linz), his human brother (Jason Segel), and a local schoolteacher (Amy Adams) as they attempt to reunite Kermit, Miss Piggy, and the gang in order to save their theater from an evil oil baron (Chris Cooper). The Muppets is the ultimate feel-good movie, one that will make you believe there's still goodness in the world, still things worth fighting for, and still great family movies being made. Tons of bonus features, including several making-of featurettes, deleted scenes, blooper reel, and spoof trailers.